Authentic pasta making with an Italian! This is a great experience for those who want to learn the art of making pasta. 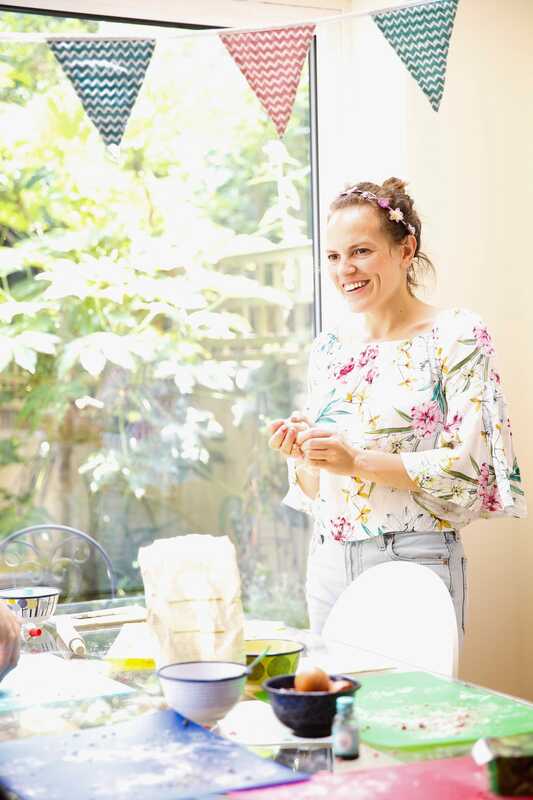 The classes are run by Vicky, an Italian cookery tutor who wants to spread the passion for good and healthy food in London. 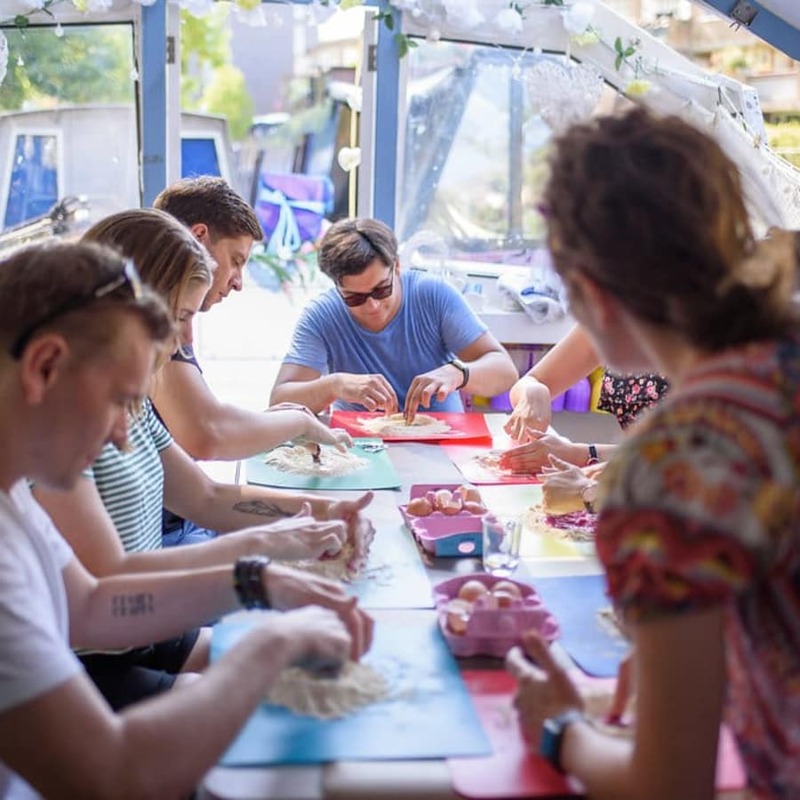 The classes are very popular events to socialise, have fun and learn how to make pasta. They are also perfect for kids. 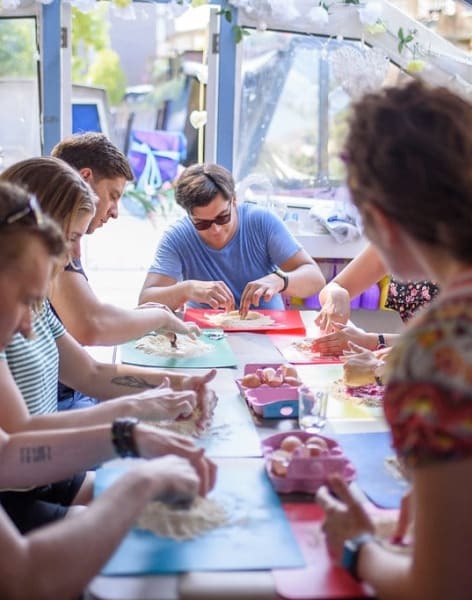 In this beginners' class you'll learn how to make different types of pasta from flour and eggs (water for vegans and with egg-allergy). The class is also BYOB. No prior experience is require. Anybody with enthusiasm to learn a new skill is welcome! When you arrive, you will find the ingredients laid out ready to be used. The class will kick off with Vicky sharing some fun facts about the history of pasta. Then, Vicky will explain you where ingredients come from, what kind of ingredients are used, where to buy the best ingredients in the future and why to use those specific ingredients. The workshop is very hands-on. After a demonstration of how to make the dough, you will make everything yourself. Vicky will guide you through the process step-by-step, including mixing and kneading, before working on making the different shapes! You’ll get lots of tips & tricks for your skills in the kitchen. You'll also feel the relaxing effects of cooking - it is amazing! After all the hard work, you can either take all the pasta home with you or we can eat it all together. What kind of pasta do you want to make? 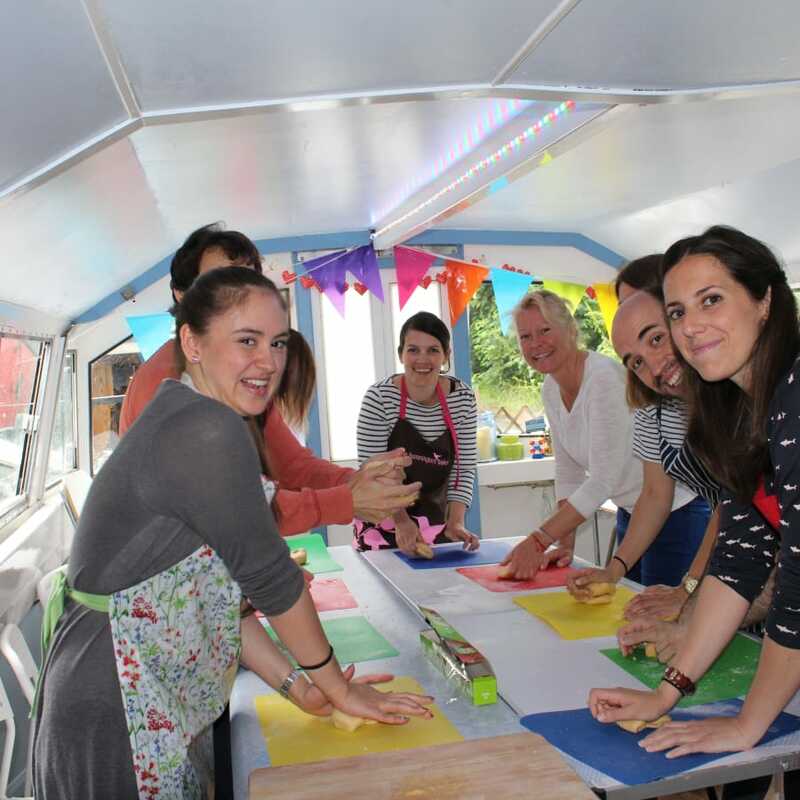 1st September: 3-5 pm- Black and white thick spaghetti (Spaghetti alla chitarra), on the Floating showroom a boat on the Regent's canal. Did you know that the fact that Marco Polo brought the pasta recipe from China might be a myth? In reality, the pasta pre-existed Marco Polo. The pasta dates much further back, back to ancient Etruscan civilizations, which made pasta by grinding several types of cereal and grains and then mixed them with water, a blend that was later on cooked producing a tasty and nutritious food product.